Not that this needs any more press considering it’s FRIGGIN’ CRUSHED its Kickstarter goal, but I’m a huge fan of their products. So, more press it is. The OG Seatsleev is an incredibly well thought out product that delivers. It looks as though the same thought process and attention to detail is evident in their latest product the Ranger. The Kickstarter campaign ends January 22nd. Delivery is in April. 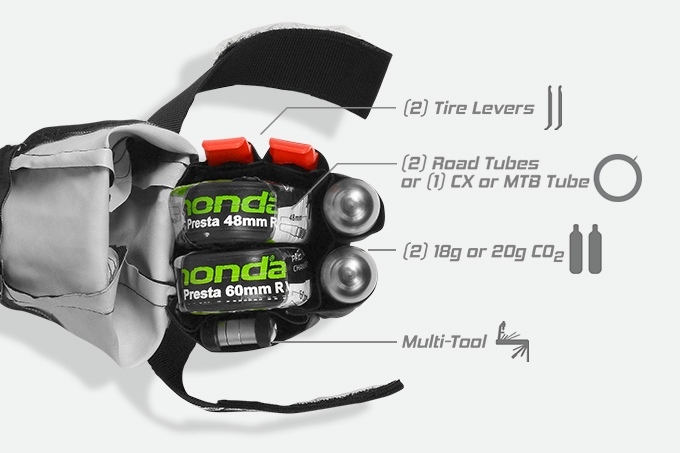 The world’s lightest and tightest fitting bicycle essentials pack. 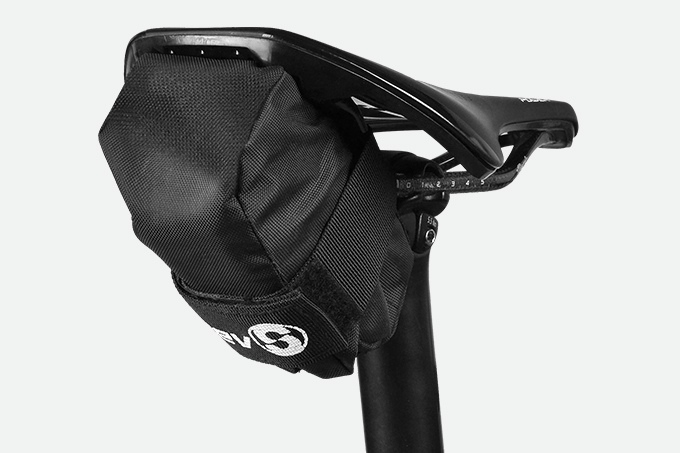 As cyclists, do we have to continually deal with floppy, ill-fitting bicycle seat packs? This was the question that lead to the design and execution of the Speedsleev Ranger prototype. It did not matter if it was a 100 mile road ride, shredding the local mountain scene or just commuting to work, the end result was the same. We still wanted the lightest and tightest way possible to carry the needed essentials. As years go by new products emerge and ideas of of how products in the cycling industry can be improved. Welcome to the next level – the Speedsleev Ranger.